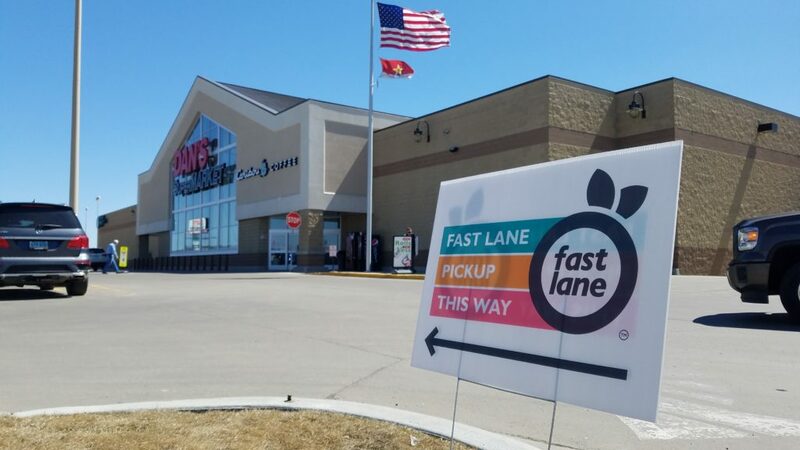 BISMARCK, N.D. – For families on the go or anyone short on time and looking for quality and convenience, SpartanNash and its Dan’s Supermarkets are excited to announce the launch of Fast Lane in North Dakota. Fast Lane is the company’s click-and-collect program that provides a seamless online grocery shopping experience through shopthefastlane.com. Store guests at Dan’s Supermarket locations in Bismarck and Mandan can now join the Fast Lane by easily ordering their groceries online and choosing whether to pick them up curbside or have them delivered right to their door. Fast Lane curbside pickup will be available at the North, South and Turnpike Dan’s Supermarkets (located at 3101 N. 11th St., 835 S. Washington St. and 1190 W. Turnpike Ave. in Bismarck), with store-to-door delivery available to all store guests in the zip codes 58501, 58503, 58504, 58554 and 58505. To celebrate the launch of the click-and-collect experience, SpartanNash is waiving the pick fee for customers’ first three Fast Lane orders placed at shopthefastlane.com using the code “FASTLANE”. In conjunction with the launch of Fast Lane to the Bismarck and Mandan communities, Dan’s Supermarkets are also introducing a new customer loyalty program. yes rewards allow store guests to clip digital coupons and save money on many of the items they buy every day. yes is available on computer or tablet, or by downloading the Dan’s Supermarket app to view weekly ads and clip coupons – all in one place. yes accounts also allow store guests to join clubs – which change every few months and encourage additional savings on common purchases – earn rewards and track their progress toward additional savings. Customers can sign up for yes accounts on the new shopdanssupermarket.com. The Dan’s Supermarket app is also now available for iPhone and Android users to download. yes accounts are automatically linked to customers’ Fast Lane accounts, allowing for a seamless experience earning rewards and clipping coupons for additional savings. Fast Lane items that have an eligible coupon will also be designated with an “Offer inside!” sticker to alert customers to savings. Commonly purchased items and past Fast Lane orders are all available online at the same price as in store, making it even easier to clip digital coupons, select commonly purchased items or sort by department, sale items or dietary restrictions when placing a curbside pickup or home-delivery order.